​The Secretary for the Environment, Mr Wong Kam-sing, visited Kowloon City District this afternoon (January 21) and exchanged views with District Council members on environmental issues. 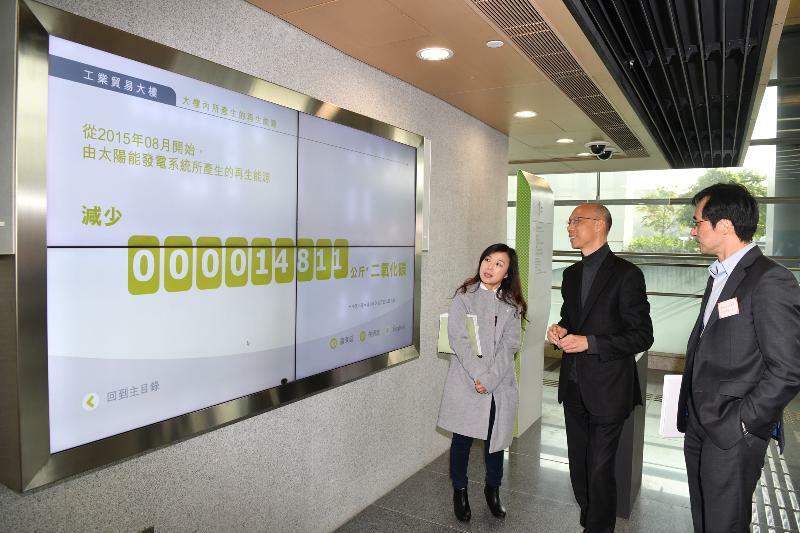 He also called at a secondary school in the district and at Trade and Industry Tower in the Kai Tak Development Area (KTDA) to learn more about its green facilities. 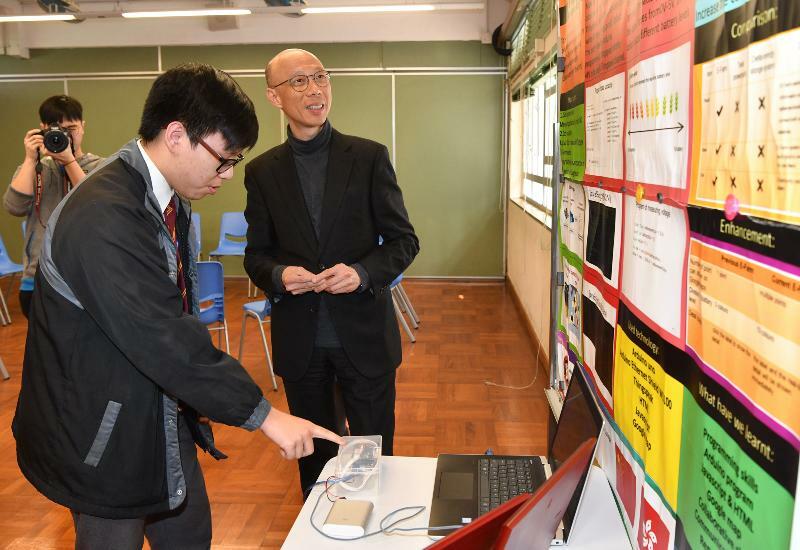 Accompanied by the Chairman of the Kowloon City District Council (KCDC), Mr Pun Kwok-wah, and the District Officer (Kowloon City), Mr Franco Kwok, Mr Wong first visited a secondary school in the district to learn about the achievements of environmental research projects carried out by its students, including scientific analysis on tree monitoring and energy systems. 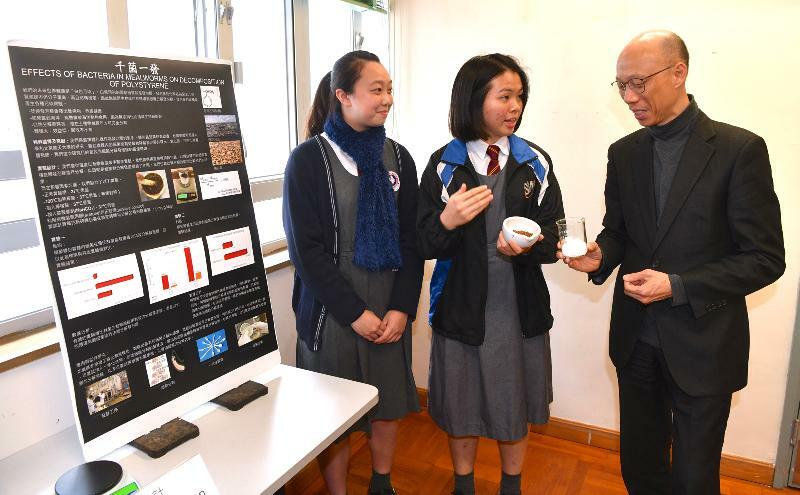 During the visit, Mr Wong chatted with students and environmental ambassadors to learn more about their studies and green activities at school. He also encouraged them to continue practising energy saving and waste reduction in their daily lives to foster a low-carbon lifestyle. Mr Wong then visited Trade and Industry Tower in the KTDA. In line with the concept of sustainable development, the tower is well equipped with energy-saving facilities and greening, plus the adoption of renewable energy technology. It is anticipated that the total electricity consumption of the tower will be about one-fourth less than that of a normal office building. The office tower has achieved the Platinum rating under BEAM Plus and the Platinum level under the LEED certificate programme of the United States, i.e. the highest level of green building certification under the local and international systems. The overall greening ratio is over 40 per cent. Mr Wong also called at Kai Tak Community Hall to see its various energy-saving and greening facilities. 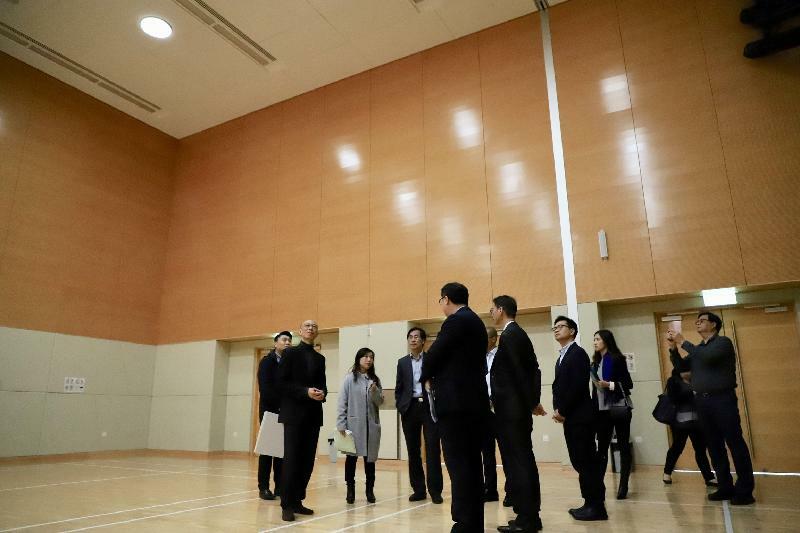 The green roof of the hall is equipped with solar-tracking optical fibre light pipes to divert daylight for indoor lighting, thereby saving energy. 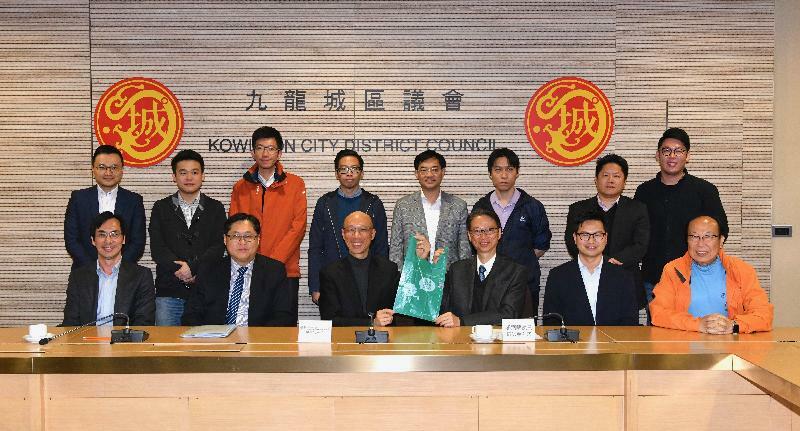 Before concluding his itinerary, Mr Wong paid a visit to the KCDC to meet with Mr Pun and District Council members to listen to their views on the Government's environmental policies and learn more about their concerns on district environmental issues.